At my first few meetings of the Randolph Community Forest Commission, I started hearing a lot about “transects.” My mind quickly flashed to high school biology… no, wait, that was “bisect.” A transect is a straight line that runs through something. Thankfully, my high school math hadn’t totally escaped me. On the Randolph Community Forest, transects, or sections of straight lines through the Forest, are a useful scientific means to monitor the health of the Forest. A few years ago, transects were put in place across the Forest. As you walk, hike, ski or snowmobile on the Forest, if you noticed a blaze, brushed straight line heading off in an unusual direction…. Well, it’s probably a transect. Just how are transects chosen and how, exactly, are they used? Here’s an excerpt from the new Forest Plan, that describes transects on the Forest. The next time you’re out on the Randolph Community Forest, keep your eyes open for one. See the map, below, for the details of their locations. 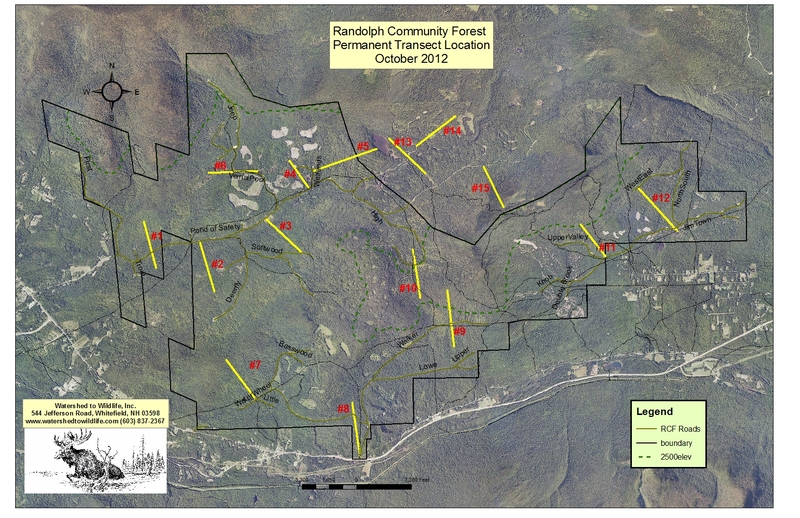 By the end of 2010, fifteen permanent transects were placed throughout the Randolph Community Forest and Pond of Safety tracts of the White Mountain National Forest. Permanent transects are a way of monitoring trends in populations of plants, plant communities, song birds, and wildlife over time. Following a transect involves walking a fixed route across a site, and making observations at periodic intervals or stations along the transect. Each transects contains iron pins at the start and end as well as every 1,000 feet. Each one runs 2,000+ to 4,000+ feet, with most running for 3,000 feet. They represent a variety of habitat types found on the RCF including: wetlands, beaver ponds and vernal pools; montane forest (over 2,500 feet elevation); permanent openings; early successional habitat; dense softwood stands; mature hardwood stands; riparian zones; ledge outcrops; slopes of all aspect and exposure; many edge habitat types. The start of each transect can be accessed via existing roads using four-wheeled drive or snow machines depending on the time of year. This is the start of Transect #5 on the Wetlands Road. It crosses into the White Mountain National Forest and ends at the edge of Pond of Safety. 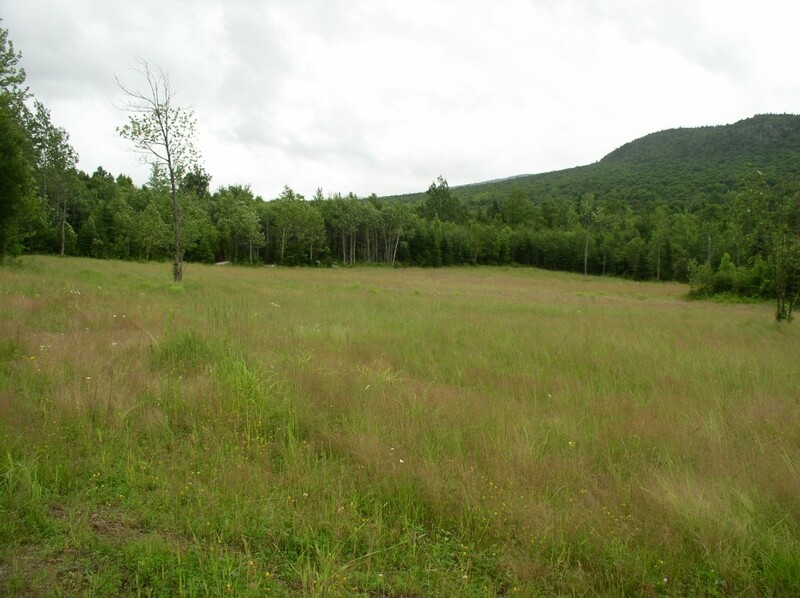 There is a large vernal pool right on the Town and National Forest Boundary. It is hoped that these transects will be used for a variety of projects including: song bird population surveys, winter track counts for determining wildlife presence and trends in populations, vegetation surveys, and water quality monitoring and testing. The location of all transects is in the GIS mapping database, which includes descriptions of each transect and start locations. These transects are ready to be used for long term and short term data collection and research projects. 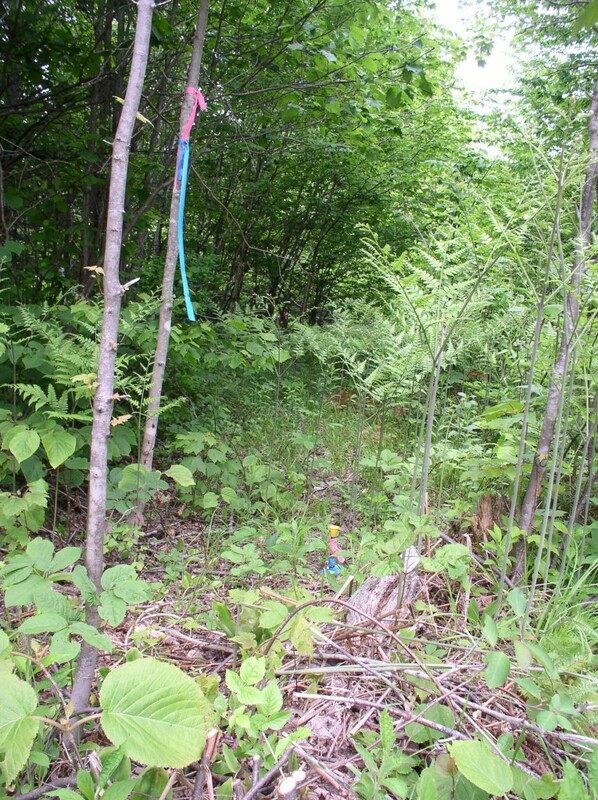 Transect #3 runs through the middle of this permanent wildlife opening, which was created in 2007. The transect starts on Pond of Safety Road, heads south across Stag Hollow Brook, and finishes near Elderberry Road off Softwood Road. Fifteen permanent transects located throughout the RCF and adjacent Pond of Safety Tracts of the WMNF.